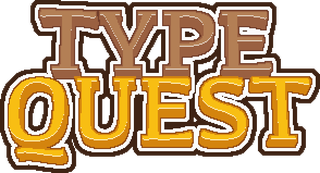 Forget Typing of the Dead, here comes Type Quest! Anyone remember Big? There was a scene with a computer game shown in this movie where the kid had to type something and the game would do what you just wrote – or not. The game only accepts a small amount of possible commands, but finding the right one can be a challenge in itself. Imagine, for instance, that you are in a forest. You type "Go West" but the game won't let you. Apparently the thing that looked like a path was a river. While these text adventure games left you room for creativity, the lack of proper graphics and supported actions made them more of a riddle game. Today, games have better graphics, are in 3D even so you know clearly where to go, but your actions are limited. Why not do both? Some decent graphics you can make sense of AND the freedom to try out various handwritten commands? Enter Type Quest: Hand of the Mice. No fancy graphics, no GUI, no guidance whatsoever. just you, some instructions and your imagination... GameFAQs, help me! The game's premise is simple, yet ambitious: Bring the handwritten command feature back, and more creativity with it. Each and every action must be typed-in via a keyboard. Opening the inventory, swinging a sword, talking to an NPC: All done via keyboard commands (But movement still works with the arrow keys, so no worries there). The game prevents the mistake of the old text adventure games: Whereas you were left typing words via trial & error, the game gives you a proper context of the situation. Not only that, but each command is tied to an item. While this doesn't allow the "type whatever you want" scheme, it makes more sense in a way that you need certain items to perform an action in the first place. Want to cut down a tree? Pick up an axe first and then type "CUT TREE". Want to open or close a locked door? Have a key in your pocked and write "OPEN DOOR" or "CLOSE DOOR". A preview of the game's GUI and overall style. Even though the majority of the commands are limited to the items you can find, you're still free to do whatever you want with them. It's how you use these items that creative actions can happen. For instance, you can cut down a tree close to a river and create a makeshift bridge with it, thus bypassing a guarded gate this way. It requires you having an axe (which isn't close to said tree) and you must find that spot in the forest first, but you can do this if you don't want to deal with the guards. Likewise, you can lock a door you just passed through and prevent the guards from catching you. Many people think that only the "OPEN" command works on doors, but they can be closed to form an obstacle for enemies as well. While predicting all these scenarios is an insanely difficult task (and no doubt there will still be limits), the team tries its best to take full advantage of this freestyle approach. This is just the beginning: An elaborate combat system, a wanky cool story and a great retro flair. I'll talk more about these points in future posts. What do you guys think about this game? Have any questions? Post them here, and I'll try my best to answer them. You can track the game's progress on IndieDB and Twitter.